If you’re looking for high quality and personal service, you have come to the right place. 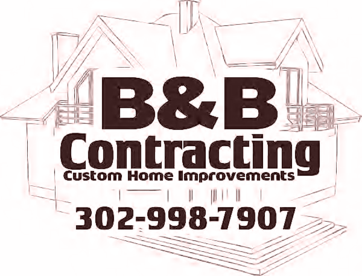 At B&B Contracting we’ll give you the attention and personal service you’ll come to expect and enjoy. With an A+ rating with the Better Business Bureau, our record is our reputation and we strive to continue to receive the highest accolades and respect with every project we complete. Our greatest assets are our repeat customer base, a robust resource of referrals and of course our team of professionals. We offer the best in custom kitchen and bathroom remodeling as well as home improvement services in Lansdowne, PA.
B&B Contracting,has been satisfying home owners for over 12 years. Let us put our experience to work for you! Kitchen Remodeling – from full custom kitchen remodeling projects to simple replacement of kitchen cabinets, countertops, backsplashes, or tile, B&B Contracting has the expertise to give you the kitchen you’ve always dreamed of. Bathroom Remodeling – whether you want to tear down to the studs and start over from scratch, replace an aging bathtub with a new luxury shower, or simply replace the vanity, B&B Contracting has the expertise to give you a bathroom that will be the envy of friends and family. Basement Remodeling – want to turn your basement into a functioning, livable space? B&B Contracting can turn your drab basement into a space like any other in the home. Whether you simply want your basement to be an extension of your living area, or you want a complete separate basement condo or mother-in-law suite, we can help! Home Additions – if you’re finding yourself short on space and want to expand your square footage, B&B Contracting can help you design an build a home addition. Whether you want to add additional bedrooms, a dining area, or an entertainment room, we can help you increase your space at a reasonable cost. In addition to our home remodeling services in Lansdowne, PA, we offer a wide range of general home improvement services. From small projects like drywall repair and installation to more involved projects like deck construction, B&B Contracting can help you with the around-the-house projects that you simply don’t have the time, tools, or skills to complete on your own. Contact us today to learn more or inquire about our services for your home improvement project in Lansdowne, PA. We’re happy to make recommendations for your project or give you a free estimate for our services. To learn more about our remodeling or home improvement services, contact us today. We offer free estimates and guarantee satisfaction on all projects. We have a great reputation in the community and make it our priority to not only maintain, but build on that reputation with every project. Call us at 302-998-7907 or fill out a contact form to get started today!